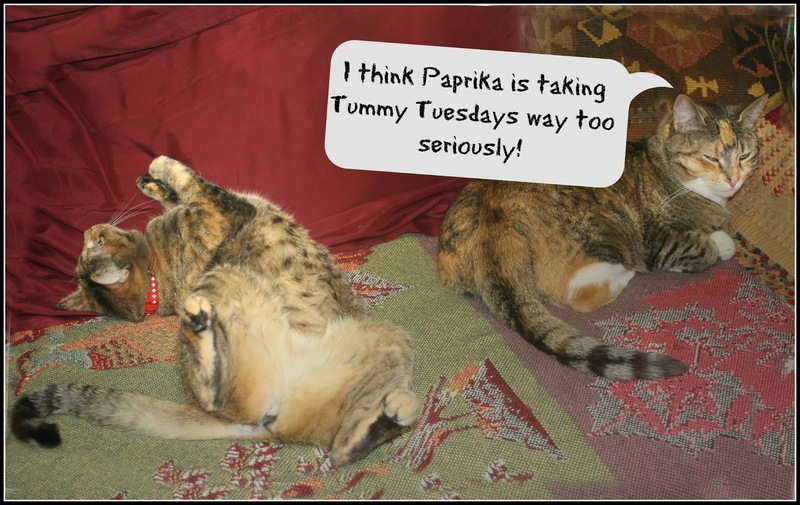 Peaches & Paprika have a difference of opinion in regard to Tummy Tuesday "back practices"
Peaches: Pay no attention to Paprika's reassurances. She knows nothing & is just trying to impress me. Paprika: It's obvious who came out on top here. I'll say no more. Happy Tummy Tuesday to all, though! A fun tummy is a happy tummy! A wonderful twist to Tummy Tuesdays. Love this. I linked you to Happy Tuesday. Works well. Do you two take turns showing off on tummy Tuesdays? Thank U. I am thinking my sisfur Paprika is WAY too "twisty" though! MOL. Thank U! 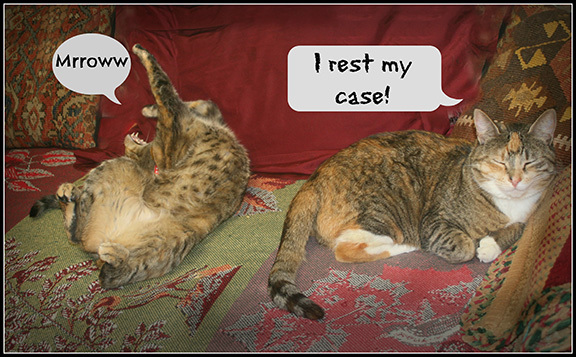 We like your kitties' tummies too! and the one with the sharp claws! We have a tummy participant right here at our house — Mikey is lying nearby, showing off his tuxedo tummy. 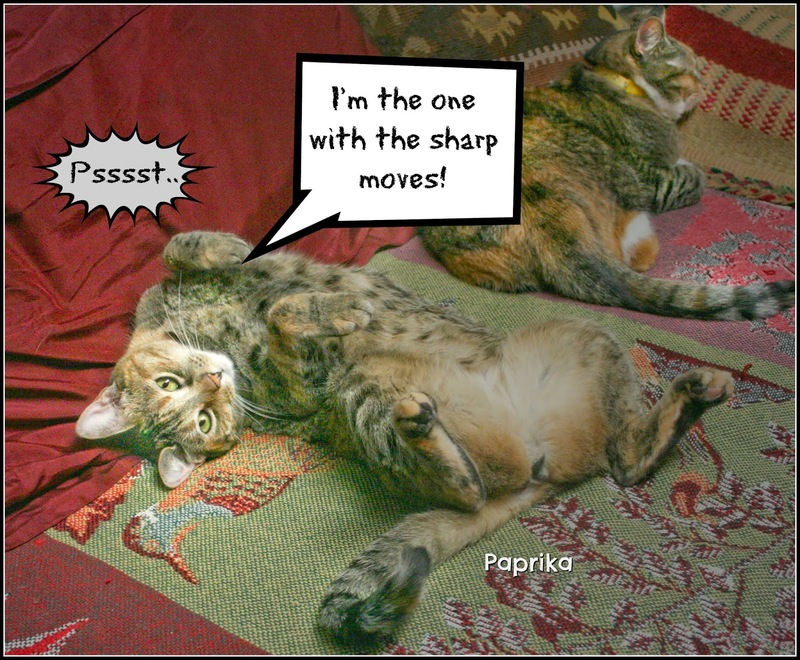 Paprika, i think he’d like your style! oh I want to snorgle that tummy!!!!!! I am sooo happy your blog is now FINALLY back in my inbox! The Feedburner issues must have been resolved! YAY! !